Last week, non-profit organization, Little Kids Rock, hosted its fifth annual Right to Rock benefit to ensure the gift of musical education remains in America’s most economically challenged public schools. The event generated over $850,000 in donations, which will help fund music lessons and instruments for 15,000 additional children in disadvantaged public schools across the United States. 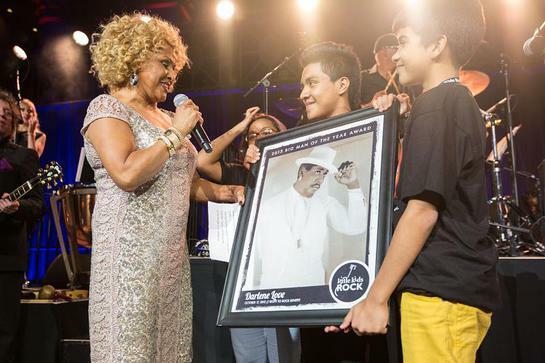 Darlene Love, Rock and Roll Hall of Famer and star of “Twenty Feet from Stardom,” was honored for her tireless effort to help keep music in the classroom with the organization’s “Big Man of the Year” award. 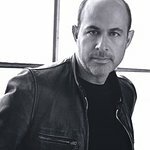 In addition to the funds raised, Little Kids Rock founder, Dave Wish, announced a $4.5 million initiative to bring music education to 60,000 kids in 600 schools in New York City. Details of this program to be announced. The night began with opening remarks from Jake Clemons, whose late uncle, Clarence Clemons, was the inspiration behind the “Big Man of the Year Award.” Love was joined onstage by student musicians from Franklin L. Williams Middle School in Jersey City, N.J as well as friends and fellow musicians Elvis Costello, Bill Medley, Brian Wilson, Paul Shaffer and Steven Van Zandt. Jim Allen, chairman of Hard Rock International, was also honored for his continued support of the organization. Hard Rock International sponsored the 2012 Right to Rock Benefit, which honored Steve Van Zandt as the “Big Man of the Year.” Van Zandt, an honorary board member of Little Kids Rock and avid supporter of music education through his Rock and Roll Forever Foundation, was the musical director of this year’s production. Fellow student musicians from Jersey City performed a mash-up of some of today’s most popular songs by chart toppers like Bruno Mars and Alicia Keys. Love was in the air when the night’s honoree teamed up with Bill Medley on a rousing duet performance of “You’ve Lost That Loving Feeling,” which brought the crowd to its feet to dance and sing along. The evening’s success was due in large part to the dedication and support of advisory board members Maureen Van Zandt and Steven Van Zandt, Little Kids Rock’s dinner committee (the “Right to Rock Roadies”), and the volunteers who worked tirelessly to make the event such a success. Presenting sponsor, Beats by Dre, as well as lead sponsor, Hard Rock International, also helped to make the benefit possible.